Esmail Abdi, a hunger-striking leader of the Teachers’ Trade Association, has been freed on bail. 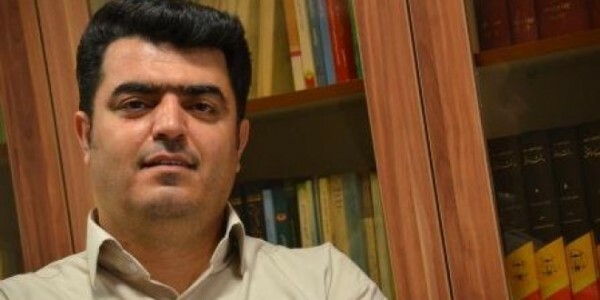 Mr Abdi is one of several teachers jailed in Iran simply because his attempts to organise and represent teachers are seen as propaganda against the Iranian regime and endangering national security. Mr Abdi, the head of the Tehran branch of the Teachers’ Trade Association (TTA), was arrested at the airport on June 27th 2015 – as he attempted to attend a teachers’ conference abroad. In March 2016 he was sentence to six years in prison on trumped up charges. He has been banned from travelling abroad. On May 14th, after nearly $100,000 bail was pledged, Esmail Abdi was freed from Evin prison. He is out on bail until the date of his appeal has been set. Mr Abdi was also arrested in 2011 for his labour activities and sentenced to 10 years in jail. This was later reduced to a suspended sentence. On April 29th Esmail Abdi and Jafar Azimzadeh, another jailed labour activist, issued a May Day statement announcing that they would go on hunger strike to protest against the regime’s hostility towards labour activists, teachers’ low wages and the ban on independent labour organisations commemorating May Day, International Labour Day. Mahmoud Beheshti Langeroodi, the spokesman for the TTA, who was on hunger strike in Evin Prison as well, was also released recently. This entry was posted in Political prisoners. Bookmark the permalink.